Posted by Maggy Parries on Aug 31st, 2016 and filed under Allgemein, Breaking News, Featured, Markets. You can follow any responses to this entry through the RSS 2.0. Both comments and pings are currently closed. With eight weeks to go to the opening of the 2016 CIBJO Congress in Yerevan, Armenia, on October 26, 2016, the second of the CIBJO commissions‘ Special Reports has been released. Prepared by the CIBJO Ethics Commission, headed by Cecilia Gardner, the report reviews the World Jewellery Confederation’s efforts over the past year to promote Corporate Social Responsibility and economic and environmental sustainability, in countries and regions where the jewellery and gemstone industry is active. and reports on the launch of an online series of courses on the basic elements of Corporate Social Responsibility for the jewellery industry, in cooperation with Branded Trust of Australia, and the first Responsible Jewellery Industry Summit in New York, which discussed ways of reaching consensus over a broader industry vision for sustainable business and ethical sourcing. „I am looking forward to our Congress in Yerevan, where we can work together to raise awareness about the importance of taking actions in our industry, to make the supply chain for our products the best it can be,“ wrote Ms. Gardner. The 2016 CIBJO Congress will take place in Yerevan, Armenia, October 26-28, with pre-congress meetings on October 24 and October 25. The congress will be hosted by the Armenian Jewellers Association (AJA). The official venue for the CIBJO Congress 2016 is the Meridian Expo Centre, which is the largest conference and exhibition facility in Armenia. The congress hotel is the five-star Armenia Marriott Hotel Yerevan. CIBJO is the international jewellery confederation of national trade organisations. 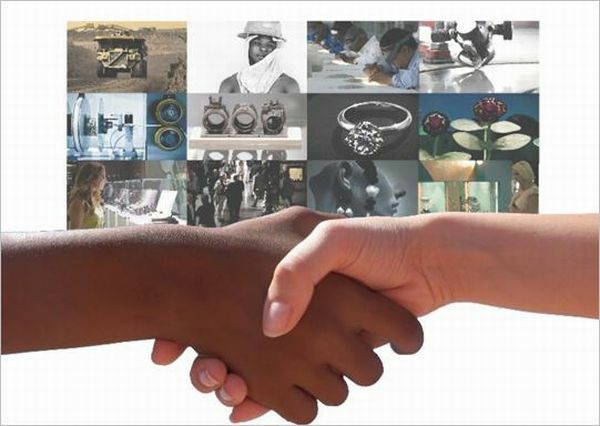 CIBJO’s purpose is to encourage harmonisation, promote international cooperation in the jewellery industry and to consider issues which concern the trade worldwide. CIBJO’s chief mission is to protect consumer confidence in the industry. Click here to go to the CIBJO website for more information.